Spirited resistance from the host nation but it was China who emerged successful in the final of the Cadet Girls’ Team event at the Korean Air 23rd Asian Junior and Cadet Championships in Asan on Saturday 1st July. A three matches to one win was the eventual outcome in favour of the trio formed by Wang Tianyi, Huang Yingqi and Kuai Man but Ryu Hanna and Shin Yubin proved more than worthy opponents; they came within a hair’s breadth of extending the champions elect the full five match distance. Wang Tianyi gave China the ideal start by beating Ryu Hanna (11-3, 11-9, 11-9), before Huang Yingqi doubled the lead. She overcame Shin Yubin (12-14, 11-6, 11-4, 11-5). Matters level, the Koreans mounted a revival. Ryu Hanna and Shin Yubin combined to overcome Huang Yingqi and Kuai Man in three straight games (11-4, 11-7, 11-5) to secure the doubles, before Shin Yubin, only 12 years old, underlined the fact that she is more than a name to note. She extended Wang Tianyi, the full five games distance, experiencing defeat by the very minimal two point margin in a dramatic fifth game (11-3, 7-11, 11-9, 6-11, 12-10). First place for China in the Cadet Girls’ Team event, it was exactly the same in the Cadet Boys’ Team competition just over one hour later. 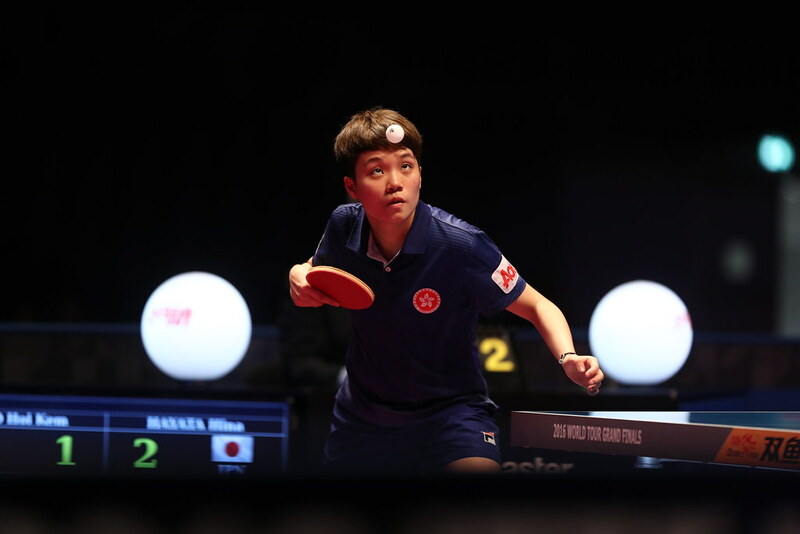 Represented by Niu Guankai, Yu Zhengyang and Song Zhuoheng; China recorded a three matches to nil win over Chinese Taipei’s Li Hsin-Yu and Feng Yi-Hsin in the title deciding contest. Niu Guankai set China on the road to victory by beating Li Hsin-Yu (11-4, 11-5, 11-4), before Yu Zhengyang overcame Feng Yi-Hsin (14-12, 11-9, 11-9) and a hard fought doubles success ended matters. Niu Guankai and Song Zhuoheng recovered from a two games to nil deficit to beat Feng Yi-Hsin and Li Hsin-Yu in a full distance five games duel (11-13. 8-11, 11-6, 11-6, 11-8). Play in the Cadet Boys’ Team and Cadet Girls’ Team events now over, attention turns towards the individual competitions. The tournament concludes on Tuesday 4th July.